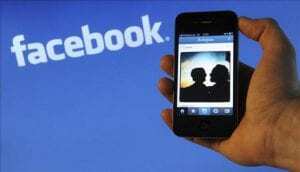 Facebook is the first-rate social networking site having more than 1.18 billion month-to-month active users. That’s why Facebook is one of the social networking sites. If not utilized in the correct way then Facebook likewise has some negative results. Often these individuals publish some modified images for the function of criticism. A factor behind these cases is immaturity of Facebook users. If you are 18+, then you can deal with any scenario and secure yourself from any phony user/fake buddy on Facebook however this is not appropriate if the Facebook user is under 18. We can see numerous brand-new social networking websites being opened day by day. It is the most pre-owned website for doing social activities. There was a requirement to hack into Facebook messages felt. There are some strategies utilized to hack as soon as Facebook messages. 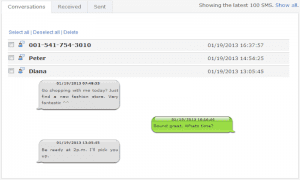 Numerous great applications and software applications assist in hacking Facebook messages. There are numerous approaches ways to hack somebody’s Facebook messages, discover brief descriptions listed below. If you understand these techniques, hacking into somebody’s Facebook ends up being a lot easier. Scammers and crooks can utilize it for online extortion, cyber-bullying, other deceitful or illegal functions. There is the need of examining their Facebook profiles and messages. Individual issues with better halves. And anti-cheating spy apps can resolve your doubts and demonstrate how to check out somebody’s Facebook messages. Log into somebody’s Facebook without them understanding and learn tricks. They have to secure secret information of your business from unethical rivals and workers if you are a company owner or a Leading supervisor. Usage spyware for this function. Select the app and check out the main site of the service. Register your account on the site of the app and log in to your panel. Now you can see all details on the Facebook account of the individual you wish to track. The phone tracking application works in the stealth mode, so you will not be observed by the owner of the target device. You cannot continuously track somebody’s phone activities. Monitoring programs permit you to see all Facebook information when you have time for it from another location utilizing your online panel. 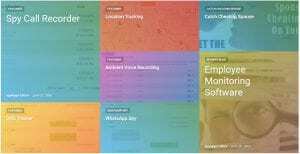 The set-up spying app will collect all info about Facebook discussions, posts, talks, images, remarks and other information and publish it to your panel on the individual account. If you are utilizing a legal software application and following its terms, then there is no issue. It is because these software applications are established to protect your kids and watch over them. In this manner, it is legal to Hack/Spy somebody’s Facebook account. 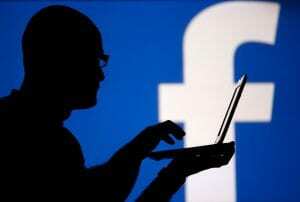 It is utilized to spy on the focused gadgets Facebook profile. If you get in the marketplace, there are numerous of app supplies for hacking, and they are set up on the target’s gadget. The unique advantage that TheTruthSpy offers is it hack without the intended individual understanding it. By utilizing this application, your target does not seem able to understand that such kind of app is utilized. To get use it you may have to enter it set up on the target’s phone. This software application deals with back-end and target individual cannot discover it. If he browses the set-up apps, then it cannot be found. This software application works stealthily and efficiently with every os without any time lag and not impacting the efficiency of target cellular phone. The primary action to follow is to get it downloaded to the target phone. Your target phone will be the gadget that you desire to keep track of. You will discover numerous applications. After it is downloaded efficiently on the gadget, you will have to install it. You can see the icon on the gadget with other applications. Now you have to obtain signed up on the website of TheTruthSpy. Get signed up utilizing a username and password. It will ask you information of the name of the target individual, a variety of the target gadget and the gadget design name. The application will begin keeping an eye on the target gadget. From this motion, it will tape-record all the call information, text, social websites, and area of the gadget. It will be done together with its pertinent date and time for a future recommendation. Now you will get the screen that asks you whether you are the owner of the gadget or not. This application does not enable illegal things to take location. For this go to the app on the focused gadget. Now the application will not be seen on the gadget. It is there on the gadget, however, is concealed from the target. Now to get all the details you have to go to the applications control panel. You can visit it anytime to become even the backdated details. And at the very same time, it gets set up in minutes. Access to entire Facebook discussions. Offers details of time and date of every conversation that occurs. It likewise supplies information of contact variety and name of the individual associated with the chatting. All the discussions are tape-recorded and submitted to the system of the TheTruthSpy . 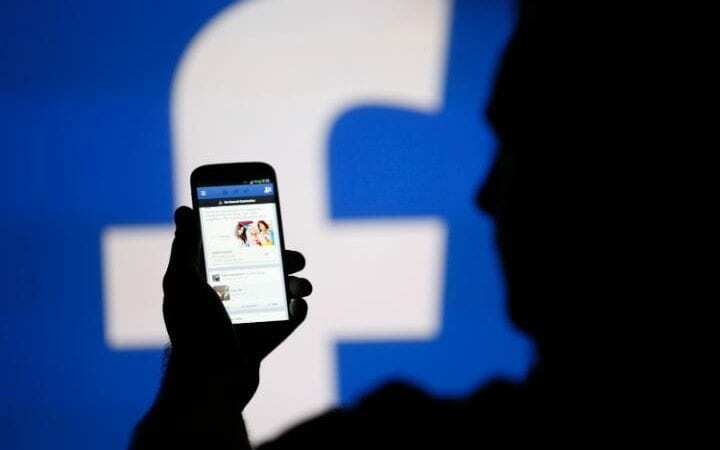 It likewise tape-records information of composite images, videos and audios files on the FB(Facebook) profile. It assists in finding the real-time location of the focused individual. TheTruthSpy has in construct GPS monitor with the aimed will never trace. It supplies your information of latitude and longitude of your victims. SMS spy is the finest and many fundamental functions of TheTruthSpy. 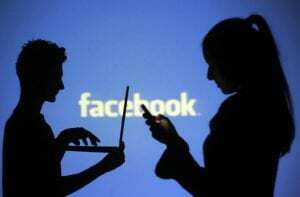 Spying Facebook conversations likewise assists to spy SMS on the focused gadget. It likewise tapes the time and date of the conversation with the number and name of the various another individual. It assists in hacking calls on the focused phone. It assists to get info on called and gotten calls from the focused gadget. When the focused individual creates the call or gets a call logs, you may likewise get a notice at the same time. The call recording function of TheTruthSpy assists to get information tape of the call. When you obtain notice of the calls on victim’s gadgets and you may not beat the location to obtain the call. You could obtain all the information recordings of every call from the application’s control panel. When your victims are on a call, TheTruthSpy application assists to tape the call and the sound which is a captivating location in the environments. By noting to the sound pending from overdue your victims, you could obtain some hint as to her or his place. It is the finest method to monitor the precise area of your target. TheTruthSpy assists to obtain all info from the different social networking websites. By setting up TheTruthSpy app and you may receive access entire talking that takes location through these social websites like WhatsApp, Facebook and much more. By utilizing the message information, you will likewise get information on time and date pointed out to it. WhatsApp is another application offered on wise phones. You become to understand what is working on in focussed WhatsApp group chats. It has some specifically developed app that is simple to set up and could be finished with the victim’s phone. After checking out the above functions of TheTruthSpy will be extremely motivated to obtain it set up to spy a Facebook profile. Due to these finest advantages, it is extensively picked an app and it is the finest app to spy Facebook profile. For this function, TheTruthSpy application is the finest. It assists in obtaining the fact of the matter. And the finest portion is the focused will never come to understand what you are active. Parental control: The parental control is the finest adult control tools. Now moms and dad can hack spy on text messages, spy on calls and Facebook account without the understanding of their kid. Worker tracking: The worker tracking is suitable to keep on eyes on your company staff members. Utilizing this application, one can keep track on the activities of your personal and could get to understand what they are doing during the working hours. By hacking their phone calls, Facebook, messages and so on you can understand what are doing in the company. Finest method to discover lost phones: With TheTruthSpy you can discover your shed phones. If a gadget gets shed or is taken, you could make use of the GPS to receive the specific place. It can utilize numerous modes to find the gadget through its finest systems. These were a few of the advantages supplied by TheTruthSpy app. It cannot offer incorrect or inaccurate details to its customers. TheTruthSpy application has some various usage for various functions. For hacking Facebook messages, the Spy Facebook messages are the finest. Along with the Facebook messages, it likewise offers information on lots of other activities that take place on Facebook. GuestSpy is a leading tracking application that enables tracking not Facebook activities however likewise call, e-mails, checked out SMS messages and tracking satellite address place. It has appealing and extremely helpful functions. It’s ideal for moms and dads who stress about their kids and desire to monitor their gadgets without them understanding, companies who desire to keep an eye on workers while they utilize business’s phones and tablets from another location. Couples and partners likewise employ GuestSpy phone tracker. Its cost is low, while this spy Facebook app supplies 3 various bundles: standard, premium, or bundle package. It suggests you can pick and purchase a set of functions which you desire, not spending for things you do not require. Download the application on the phone of the victim phone. As soon as the downloading procedure gets finished, move with the setup procedure. Go with the registration procedure; there you will get an id and password. Even you get a verification e-mail through it. Usage id and password and get all hack information on your account. You can utilize this software application to spy on the Facebook messenger of your kid’s account. Also, you will be able to spy on your kid’s gadget in the stealth mode utilizing this phone tracking app. PhoneSpying likewise permits tracking SMS messages, inbound and outbound calls, and activities on Twitter, Instagram and other social sites, GPS place of the phone, and so on. You will have the ability to get all information from the target phone at any time and from any gadget. There are some techniques for tracking Facebook accounts and utilizing spy apps to hack into somebody’s Facebook is the finest of them. Install it when and take pleasure in simple tracking from any location in the world and utilizing any gadget.